As we struggle in life many of us often feel confused, alone, afraid and lost. Chronic illness, especially a debilitating one like Lyme disease, cause alarm and often brings up huge spiritual questions about our struggles and suffering. Feeling isolated and odd, it is important to learn that actually we are not alone! 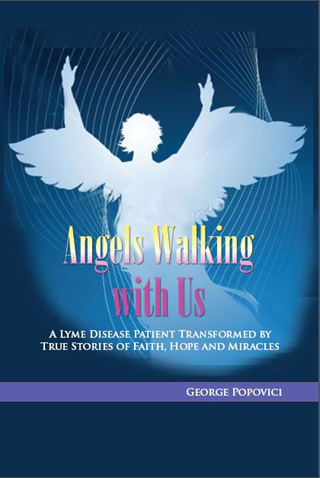 It is my pleasure to interview author of “Angels Walking With Us”, George Popovici, on Lyme Light Radio, Wednesday March 5, 1pm PT/4pm ET. This show will explore the supportive and beautiful relationship to the angelic realm and how faith and our belief systems can actually ignite healing. Angels are all around us, reaching out to offer comfort, guidance, and hope. For George Popovici, an award-winning safety engineer who had it all in the prime of his life, the people who appeared in his life as angels offered him hope in the midst of his despair as he searched for answers to a mysterious illness that had ripped away the perfect health he’d enjoyed all of his life.After a desperate eight-year search to find out why he had fallen so ill, and after seeing 42 physicians, George finally discovered that he was suffering from late-stage Lyme Disease. He learned of and sought out Maureen Hancock, a famous medium who told him that there was a purpose behind his illness: he was to bring together stories of hope and healing to inspire people who are desperate and ready to give up hope. He realized that his illness was part of God’s plan to encourage him to reach out to others who were in need of help. This is a double book give away show. Our first five callers at 800-930-2819 during show time will receive autographed copies of both “Angels Walking With Us” and “Out of the Woods”. Tune un to a profoundly needed conversation on the work of divine forces in our personal healing journey. Many of us are outdoor enthusiasts, campers, hikers, and spiritually connected to nature. The beauty, power and joy of living close to the wilderness lifts and inspires us. I am a landscape painter. The magic of nature moves me deeply. My memoir “Out of the Woods” depicts my close kinship and energetic support from the snowy winter cathedrals and the alpine vistas. I became horrifically ill with advanced misdiagnosed Lyme disease after 42 years of living with sheer trust and abandonment amid forests and babbling streams. Many of us became infected with Lyme during our time outdoors. Awareness, prevention, early diagnostics are key issues all of us need to be alert to in today’s Lyme disease epidemic explosion, as ticks are multiplying at rates beyond historically normal (and living in habitats formerly devoid). Lyme disease is not regional , but all throughout North America and the globe. A very brave, spirited man named Logan McCulloch has done something remarkable. After suffering with a dire case of chronic Lyme disease himself, he has resisted the fear so many feel and has been hiking the entire length of the East Coast on the Appalachian Trail on a mission to educate about Lyme disease! Hiking the miles of the AT is a feat in itself, and Logan has been working en route. Please join us on Lyme Light Radio, Wednesday February 26, 1pm PT/4pm ET as Logan McCulloch brings us his story, his journey, his discoveries and commitment to the Lyme disease equation. This should be a very interesting interview, as we get a ground level view of just what the Lyme and tick situation is deep in the forests of the East Coast. In many ways Logan McCulloch feels as if he’s prepared for this project for most of his adult life. He is 52 years old and a native of Louisville, Kentucky. For the past 20+ years he has been a non-profit executive with expertise in fundraising, marketing, public relations and public speaking. His current position is Chief Development Officer for the Kentuckian Region of the American Red Cross. In 2003 he hiked 215 miles of The AT and The Long Trail in Vermont over a two week period. During that trek he adopted the trail name (pseudonyms are common among long distance hikers) “Unitic” which now seems somewhat prophetic given the nature and goals of this adventure. •Conversing and sharing information with the leading tick entomologist at the University of Kentucky, and the state veterinarian and Assistant Director of the Kentucky Division of Epidemiology (February). •Having an article published describing my story in the Louisville Courier-Journal (April). •Hosting a free community screening of the documentary Under Our Skin (May). •Conducting personal meetings with the Executive Director of the Greater Louisville Medical Society (GLMS), as well as the Director and staff of the Kentucky Division of Epidemiology (June). •Getting a front-page above the fold article published entitled “Lyme Disease is Under Reported in Kentucky,” that profiled one of the members of our group and included supportive quotes from key staff at the Kentucky Division of Epidemiology, the University of Kentucky Department of Entomology and the GLMS. Logan and I share a deep love of nature. With his journey into the woods I feel it is fitting I share “Out of the Woods” with our audience, for this is a book or true inspiration and recovery tools. Thank you Logan and to my team at Transformation Talk Radio, the Dr. Pat Show and WBLQ 1230 AM. Plus my trusty assistants Charlotte Ruth, Jake Carr, Luba Williams (FB posters) and Chloe Rapp – you all help make Lyme Light Radio the hit show we hoped it would be! This is a very rewarding and enriching experience. Some people get infected with the Lyme disease bacteria (borrelia burgdorferi), take the prescribed antibiotics and pull out of the flu like pains and malaise readily. Certain folks get infected and their ultra capable immune function and genetic ancestry enables them to fend off the infection all together. Life goes on smoothly. Then, there are the estimated 4,000,000 plus people in the USA, and millions more worldwide, whom are struggling with devastating chronic forms of illness created by Lyme disease. Their lives are compromised, fortunes are spent on treatments, many are misdiagnosed with auto-immune illnesses and Lyme or co-infections are the true culprits. Why do some of us get destroyed by the bacterial infection and others not? Susceptibility is a factor in all illnesses – from a tendency to strep throat, pneumonia, MS or advanced neurological Lyme disease. Dr. Wayne Anderson of the prominent Gordon Medical Associates team joins me on Wednesday, February 19 1pm PT/4pm ET on Lyme Light Radio. We will explore the fascinating studies of Dr. Ritchie Shoemaker and the ‘genome flaws’ or genetic predisposition some of us were born with that set us up for Lyme disease to create maiming afflictions and ‘trigger’ other disorders. This is a show you do NOT want to miss! When I heard Dr. Anderson present this information at ILADS Boston 2012, a major ah-ha moment clicked for me! This is ground breaking work and the reason why I was able to heal 100% from advanced neurological Lyme disease, by addressing these issues. It works! With a background in education, Dr. Wayne Anderson understands the role of teaching in medical care. Working with grade school students he saw that diet and environment impacted student’s mood and behavior. This sent him back to school for training as a Naturopathic doctor. A growing focus on natural healing approaches in clinical practice in Oregon caused him to broaden his assessment and treatment skills and he earned the designation of Physician Assistant. For more than 25 years, Dr. Anderson has known that his patients are partners in the process of learning about and treating their illness, whether they choose conventional or alternative medicine or a combination of both. He listens to understand each patient’s strengths and challenges and improve his effective interaction with them. He sees every person as complex, integrated, and unique, and believes that treatment should optimize health and well-being. Thank you Dr. Anderson – your work with tick borne diseases and ability to educate are brilliant. On this Wednesdays show, Lyme Light Radio will welcome the wonderful Dana Walsh, star of the new documentary “Under Our Skin.” Read about it and check out the trailer here: http://www.underourskin.com. Rarely do we hear from someone with such empathy and sensitivity speak so candidly on their own personal struggle with the disease that has touched all of us in same way or another. One of the most pivotal moments in a Lyme victim’s life is when they watch the absolutely riveting and deeply honest Lyme disease documentary “Under Our Skin”. This film exposed the decimating struggles so many of us fall prey to when Lyme disease is not properly treated in the acute phase. “Under Our Skin” validates the Lyme disease tragedy and has opened an enormous portal into public recognition of the eclipsing health care crisis we are in. Featured in the award-winning documentary, UNDER OUR SKIN, Dana has inspired countless on their road to health by sharing her journey from rock-n-roll event producer to full time Lyme disease patient. During her years at the legendary Bill Graham presents in San Francisco, Dana’s work included VIP corporate parties and private concerts for such clients as Apple, Wired Magazine, Adobe, and Bono and U2.Dana feels blessed to have had the genius of so many medical mavericks to return her to health. Now, empowered by decades of study and experience, Dana is a committed producer, speaker and writer in the health and healing world. 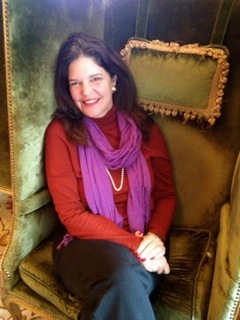 Her mission is to deliver a powerful authentic message and to make the intangible a reality. Dana believes her greatest contribution is to put her creative and production talents towards creating projects that focus on holistic recovery. She is the creator of the “7 Essentials to Living Health” and founder/co-producer of Lyme Less Live More. 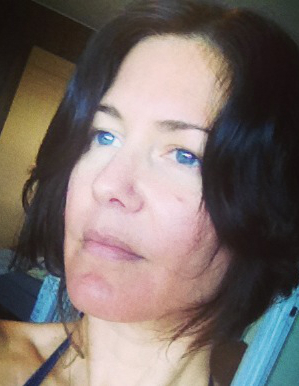 Dana and I will discuss the truly important spiritual growth side of Lyme disease. Though Lyme is physically and emotionally ruinous, rebirth and transformation are part of the recovery journey. This is a show you will not want to miss. Dana is a talented, wise human being. Your calls will be welcomed on air at 800-930-2819. Thank you for joining us. 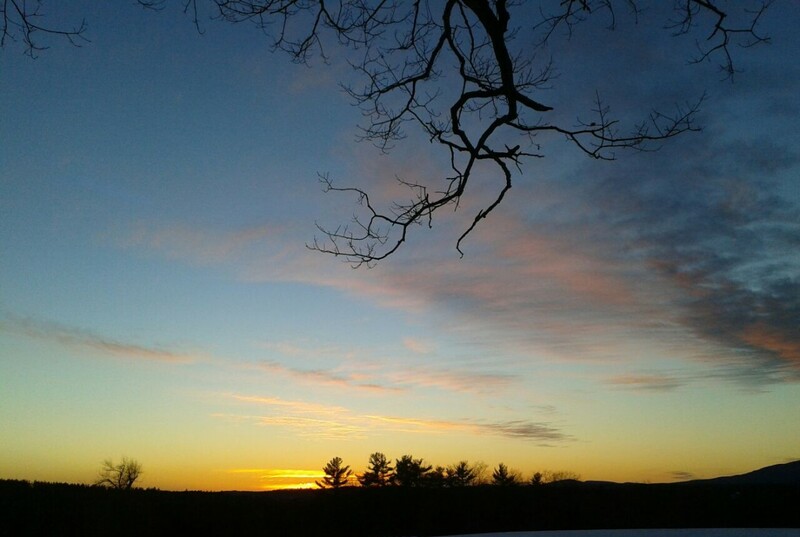 AMHERST, Mass. ­- Massachusetts Secretary of Administration and Finance Glen Shor announced today that the Bedford, Mass. Board of Health, on behalf of 31 other partner towns, will receive $111,000 from the governor’s Community Innovation Challenge Grant program to form the state’s first Tick-Borne Disease Network (TBDN) for surveillance of ticks and tick-borne diseases. The announcement was at the Massachusetts State House. Towns will use the Laboratory of Medical Zoology (LMZ) at the University of Massachusetts Amherst, which will receive, identify, test and report the occurrence of ticks and associated diseases to residents, their boards of health and the state Department of Public Health. 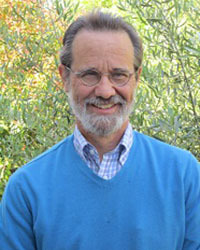 Medical zoologist Stephen Rich, LMZ director, helped to craft the proposal for Bedford. He says the idea started as a network of public health departments in five towns in Middlesex County, which grew when 10 Franklin county towns asked to join, followed by all 15 towns of Barnstable County on Cape Cod, plus Nantucket. LMZ will test 100 ticks from each participating town, 50 each in the spring season and 50 in the fall, on contract for the new tick network for $30 each, a discount from the $140 currently charged to the public to test for three important tick pathogens. The reduction is possible because with higher volumes and fixed funding the LMZ can meet costs and provide high quality service, Rich says. The program will provide estimates of pathogen prevalence and allow each town to see rates of tick biting activity in real time, the LMZ director says. Each tick will be tested for Borrelia burgdorferi, associated with Lyme disease, as well asAnaplasma phagocytophilum and Babesia microti, the principal emerging and potentially lethal pathogens that cause Anaplasmosis and Babesiosis, respectively. Distribution of these pathogens in ticks is poorly understood and likely varies substantially across the state, he adds. Massachusetts Department of Public Health and the U.S Centers for Disease Control and Surveillance statistics show that in Massachusetts, confirmed cases of Lyme disease have increased from 23.9 cases per 100,000/population in 2004 to 60.9/100,000 in 2008 and the disease is now considered endemic in all of Massachusetts, public health officials note. At present the LMZ at UMass Amherst collects thousands of ticks, dead or alive, from across the country to help map the distribution of different types and categorize the many disease-causing pathogens they carry. The service helps families and their physicians as well as epidemiologists, says Rich, and is a good example of how the university’s flagship campus can partner with communities to meet concerns about a very real threat to public health. Established in 2006, the LMZ tested about 2,000 ticks from 40 states last year, Rich says. Building its database continually expands its usefulness to epidemiologists who track the growing number of disease causing pathogens carried by these ticks. In addition to the Nantucket Health Department, Franklin County participating public health departments are in Buckland, Charlemont, Conway, Deerfield, Gill, Hawley, Heath, Leyden, Monroe and Shelburne. In Middlesex County participating departments are in Acton, Bedford, Carlisle, Concord, Lincoln and Winchester. In Barnstable County they are Barnstable, Brewster, Bourne, Chatham, Dennis, Eastham, Falmouth, Harwich, Mashpee, Orleans, Provincetown, Sandwich, Truro, Wellfleet and Yarmouth. Lyme disease and the assorted co-infections (babesia, bartonella, EBV) that ticks carry can be an overwhelming process, breaking bank accounts, careers and many a spirit. This auto-immune style complexity of symptoms illness, has maimed missions of individuals in the USA alone. As a survivor of advanced chronic neurological Lyme, I am a living testimony that antibiotics are NOT the only way to recover your life from Lyme. Though it took ten years of herbal, homeopathic, nutritional rebuilding protocols, I healed 100% and am passionate about helping others reclaim their lived from Lyme and co-infections. You can succeed! Dr. Kristine Gedroic will share her success with Lyme disease by using the natural healing vehicles, that are akin to those which so beautifully helped me. 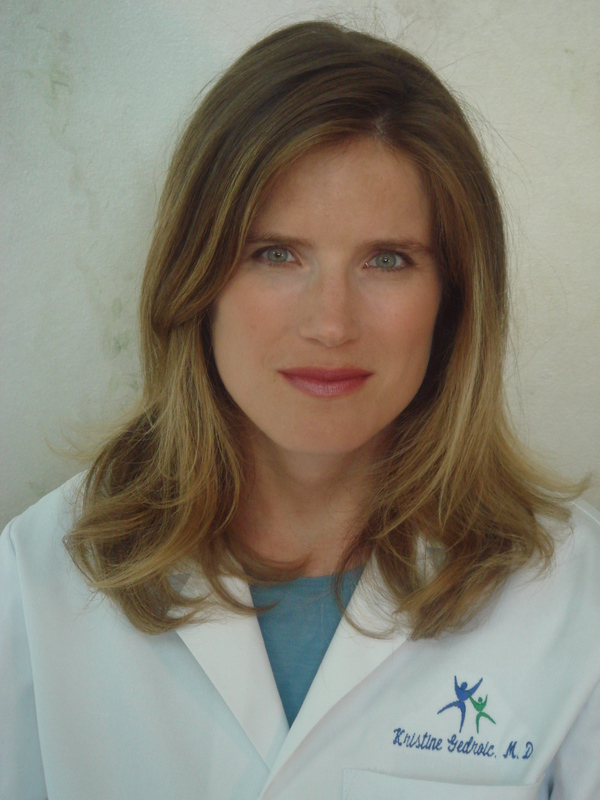 Kristine Gedroic MD. FAAFP, DABMAis a board certified family practitioner specializing in Integrative Medicine. She also has an expertise in German biological medicine. Dr. Gedroic received her undergraduate degree from Harvard University and her medical degree from Thomas Jefferson University in Philadelphia, Pennsylvania. She completed her internship at Cornell University and her residency at Overlook Hospital in Summit, New Jersey. In addition, she had studied Integrative Medicine with Dr.Andrew Weil. Dr. Gedroic is also a board certified acupuncturist. Please join us for a very uplifting and informative interview. You will gain insight into the pekana homeopathic formulas, Beyond Balance Herbs and Dr. Gedroic’s philosophy on how to tackle this truly shape shifting infectious disease. Also – since it is my birthday. All day I will be giving away copies of my award-winning memoir and recovery guide “Out of the Woods”. Please email my office with your mailing address at katina.makris@comcast.net or call in during out 60 minute show 1pm PT/4pm ET at 800-930-2819! Happy Birthday gifts to all you terrific folks!! I sit each morning in meditation. Then I open from a random book near me, a stack of them of spiritual essence awaiting me. Today I encountered this lovely reading from “Buddha” by Manuela Dunn Maschetti. It speaks to me on how essential being present is in our own lives, in each moment we live, in the nature of our relationships. The world spins in such frantic ways these days; doing, reaching, acquiring, speeding now the norm in Western society. These words remind me of my own learning gained in 10 years of stillness during my healing journey from Lyme disease. Please mull on this a bit. There is a richness of truth ringing clearly. This is my gift to you, as I celebrate the day I was birthed into this world by my mother many years ago.Thank you Patricia for delivering me and to all for joining me in the journey of living and being our own form of Buddha. The enlightenment of Buddha was not primarily a religious discovery or a mystical encounter with God. It was an individual’s direct, exact, and final discovery of the structure of reality and of the ultimate nature of being. A Buddha’s mind rests within the human body, and frames the possibility of Buddhahood for each individual. “Buddha” is not a title, but simply a statement of fact; the awakened one, the enlightened one, the evolved. Sammasati: remember that you are a Buddha. In everything you do, in everything you feel, in everything you think, in every movement of consciousness- remember that you are a Buddha. Buddhism proposes that every life has the purpose of achieving supreme happiness through total awareness of itself and the universe. Every being has been working from time immemorial to perfect his or her nature over lifetimes. This fulfillment, this perfection, occurs by understanding, awareness, wisdom, watchfulness and sensitivity. And the infinite number of beings who have already achieved perfect Buddhahood share that happiness and light with all other beings, showering us every second with infinite grace, beauty, love and compassion. They become the guardians and friends who watch over us as we walk on the path. When Buddha addressed his disciples at the beginning of each sermon, he would call them, “My beloved, my friends, my fellow travelers,” and this is what Buddhas are to each one of us. Katina I.Makris is the author of “Out of the Woods:Healing Lyme Disease, Body, Mind & Spirit” and host of Lyme Light Radio.